Released at the start of this year, the DC40 uses the new Radial Root Cyclone technology. 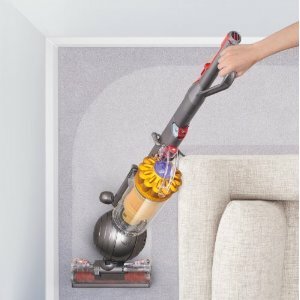 Root Cyclone (found in earlier models) separates dirt/dust particles from air so that filters don’t get clogged leaving the vacuum cleaner with lower suction power. The Radial improvement enables better suction of smaller particles (allergens, pet hair etc) by improving flow efficiency. 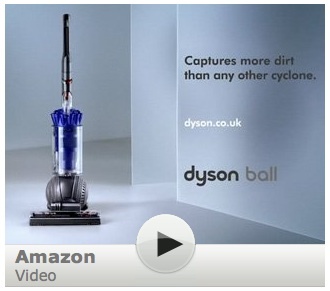 It’s a fantastic improvement by the Dyson team. If you’ve ever tried a new Dyson, you’ll notice the fabulous Ball technology which improves navigation around furniture and other objects. You won’t find the cleaning heads hindering suction. The design helps improve the process of suction even when moving from one type of floor to another. The reach wand, used for stairs and other high to reach areas, has an instant release feature which means you don’t have to awkwardly try to detach when on the move. The accessories included enable better cleaning of stairs and dusty areas such as in between furniture and skirting. 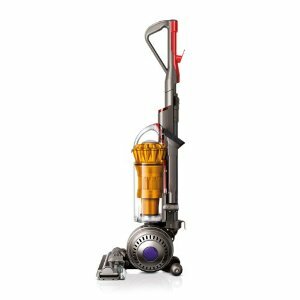 The Dyson DC40 is pretty lightweight at 7kg (a standard weight for lighter, smaller uprights). All of this with a 5 year guarantee and a fairly cheap price tag for a Dyson. Uses Radial Root Cyclone technology, improving air flow. 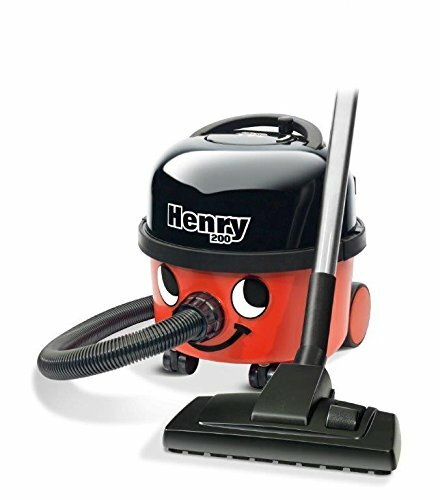 Self adjusting cleaner head for different types of floors. Instant release wand for difficult to reach areas. Made with durable material so will last for many years. No need to constantly go over the same areas. The suction is so powerful and the Radial Cyclone technology gets rid of the smallest particles. No need to keep changing the floor head for different types of floors. Dust container a little smaller than other vacuums in the same range. ← Mobility problems, elderly or disabled?